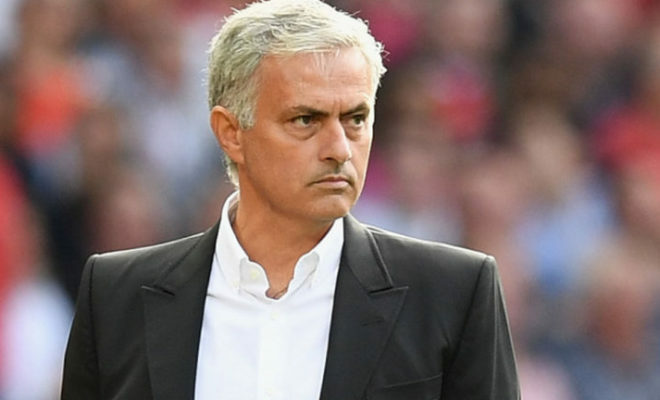 Manchester United head coach Jose Mourinho has reportedly disclosed that his squad isn’t stronger than the way it was last season after the club could only secure three signings in the ‘simple’ transfer window. United secured the move of Diogo Dalot, Lee Grant and Fred to Old Trafford but only Fred will be pressing for a starting role in the 2018-19 campaign. However, Mourinho was keen on making a late signing of a centre-back, linking Leicester City’s Harry Maguire and Uruguay’s Diego Godin as United possible signings to fill the position. However, United could not secure any additional transfer and Mourinho has revealed that he would be working with “same squad” for their 2018-19 campaign. Although, it was obvious Mourinho wasn’t happy with United’s transfer window pursuit, he praised Fred and regard him as a player to ‘enjoy’ this season. Mourinho stressed that the Brazilian is very good with abundance of good techniques. The Red Devils kick-starts their Premier League campaign with a home game against Leicester city on Friday.